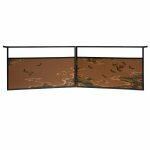 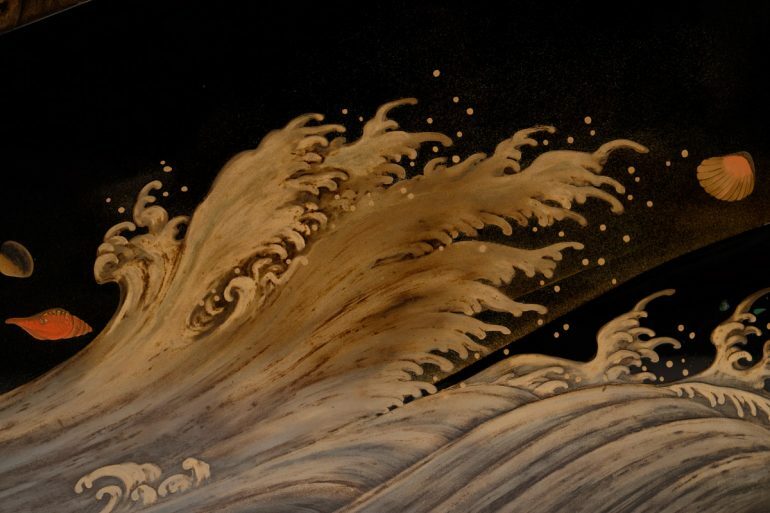 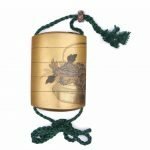 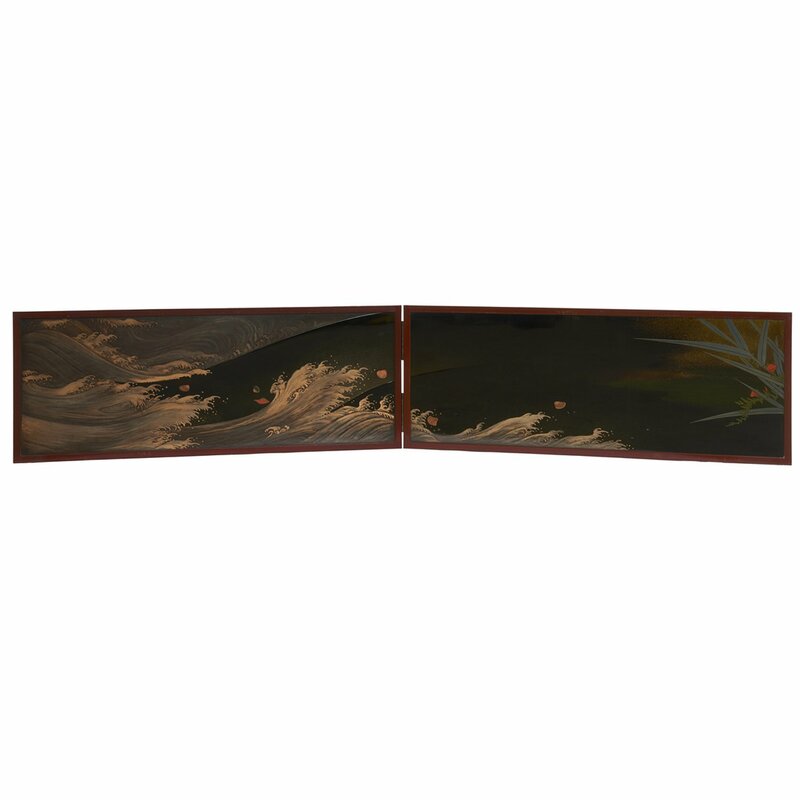 Low polychrome lacquered byobu-screen for the tearoom: two panels depicting a roaring sea with sea-shells cast on the shore with some bamboo in the upper-right corner in raised maki-e lacquer. 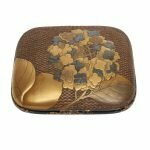 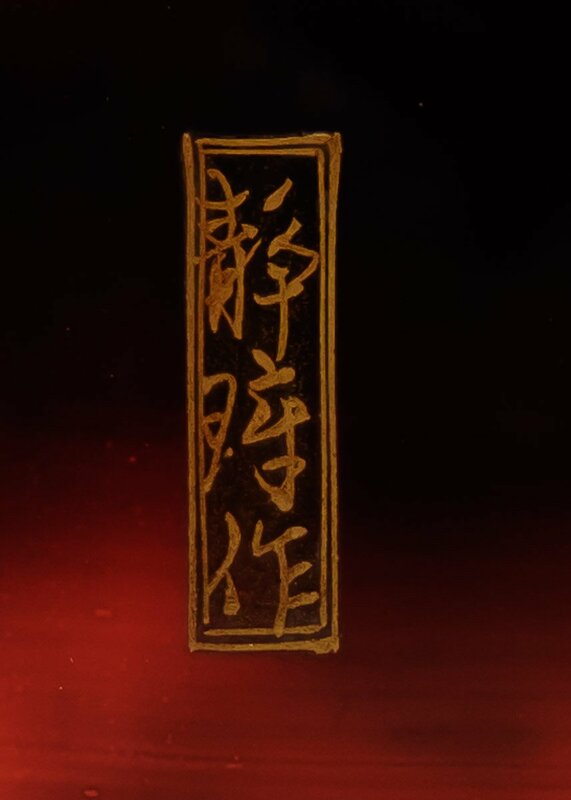 The back of the panels is negoro-lacquered and has below a border with various kinds of seaweed and other sea-plants. Size; H. : 33 cm; W. : 86,5 cm (2x).